The BUMF:Gallery team are planning a screening week showcasing AUB’s best moving image work. 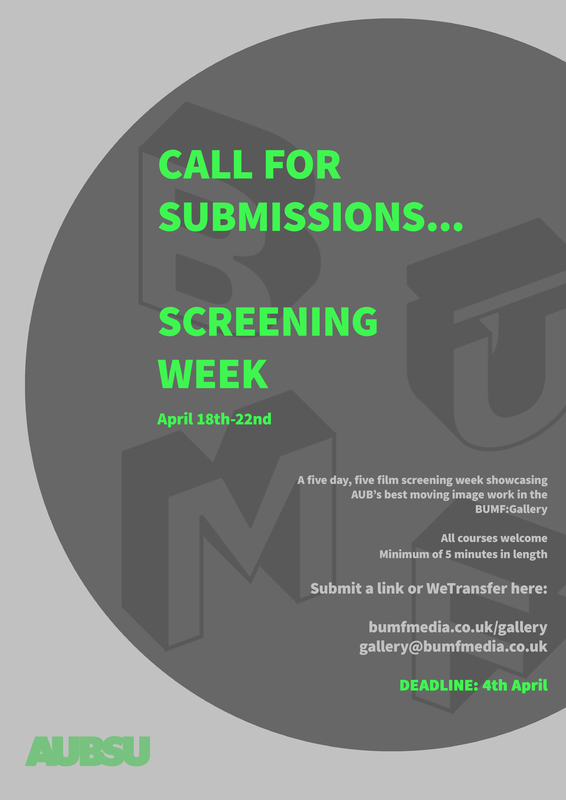 If you have made work that is a minimum of 5 minutes long and want to project your work in the BUMF:Gallery then email your YouTube, Vimeo or Website link here OR send your file via WeTransfer to gallery@bumfmedia.co.uk. The deadline is soon so get submitting for a chance to show your work, all courses are welcome.